THE marathon run of the country’s prestigious schools soccer tournament, the COPA Coca-Cola reaches the final lap in Zvishavane tomorrow, where the finals will be held. A total of 24 schools will be battling for the coveted top prize after hundreds of hopefuls participated and stumbled in the cluster, zonal, district and provincial games across the country. Zimbabwe has more than 2 000 secondary schools. And all of them participated in the tournament. Each of the country’s 10 provinces field two teams; one for boys and one for girls in the Under-15 category. The host schools have an automatic qualification together with defending champions. Mandava High School will host the boys with Zvishavane High hosting the girls’ tournament. Rusununguko High of Mashonaland East is the boys defending champions while five-time winners Chidyamakono High of Chivi are the title holders for the girls category. 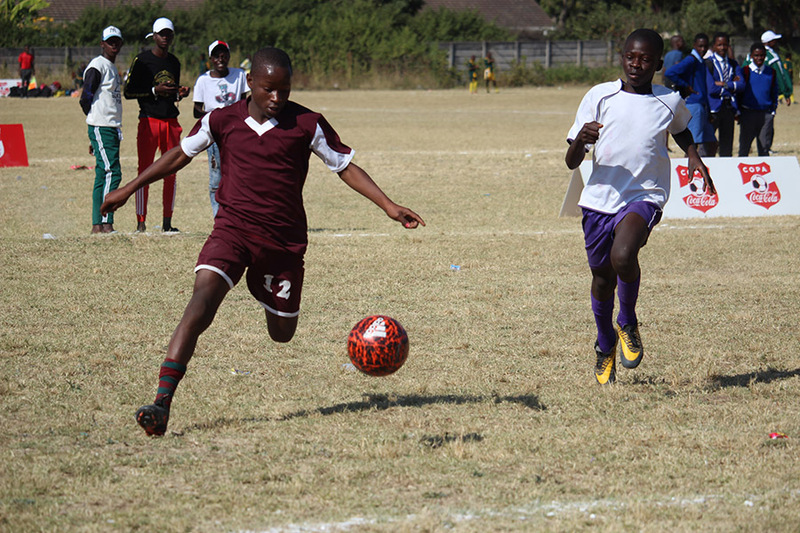 Mashonaland East will have two teams in the boys’ category; Waddilove and Rusununguko; while Masvingo will also field two schools — defending champions Chidyamakono and Birivenge. Chidyamakono have been dominating the tournament since dethroning Vainona in 2013 at Sakubva Stadium. That was the beginning of their dominance in the schools’ soccer tournament. It is a rare feat for a school to maintain such dominance for such a long stretch. Other schools that have made commendable success in the past three decades include Churchill, Mzilikazi, Pamushana and Hippo Valley which have won the cup more than twice. However, they have not achieved Chidyamakono’s feat. With a winners’ prize of US$5 400, for both boys and girls, competition is expected to be tough. There are other individual awards available for excelling footballers during the tournament. Pfupajena High School of Chegutu hope to correct their mistakes in the 29th edition of the games. In the last edition, they blew a 1-0 lead and lost on penalties against a 10-man Rusununguko side. Mashonaland West teams have been struggling in the finals with Chinhoyi High failing on last hurdle against Rujeko High in 2016 at Pelandaba Stadium in Gwanda. Chinhoyi High failed in the penalty lottery against a resolute Rujeko who were at the national finals correcting mistakes of the previous year. Rujeko had surrendered a 3-0 lead against Dewure at Barbourfields Stadium in Bulawayo in 2015, resulting in a penalty shot out which they lost. Harare will be represented by Prince Edward Tigers who delivered a solid performance in the provincial finals. PE, as they are affectionately known, scored an avalanche of goals and have a good attack and midfield. Vainona will be aiming to dethrone Chidyamakono as they represent the province in the girls’ category. Previous articleEnergy drinks: The silent killer!